Rafaela had been lying by the roadside for days, and we had received various reports about her. She was in bad shape, very skinny, malnourished, and her coat looked very bad. She also had scars on her neck, which suggests she had been kept on a chain. Rebecca (a volunteer in Lesvos) picked her up and tells what happened: I called her, and she approached me slowly and cautiously. Then she followed me to my car and jumped in when I opened the door. I had left the window open a little, and she stuck out her head to catch the wind, as if she knew what she was doing. Once we got home, she stayed with me all the time, and she loved huddling up closely beside me on the couch. In the shelter, Gerbien tells us that Rafaela quickly felt at ease in the Camp. At first, she needed special attention, but now that she is confident that she is given sufficient attention, she is relaxed. She has gained weight and her weight is fine now. Her coat looks shiny and nice now. Apart from a tiny bald spot, all the scars on her neck have gone. Our rehoming team in the Netherlands is working hard to find her a fine place! Our shelter also has a place for adult dogs like Rafaela. Sadly, dogs are often found in deplorable conditions. We work with them to allow them to recover and regain confidence in humans. As soon as they are ready, we start looking for a home. 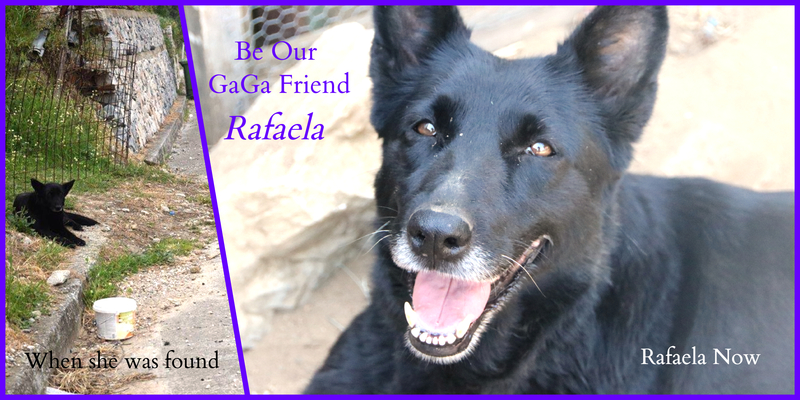 Help us help dogs such as Rafaela by donating 1 euro a month (no more and no less) and becoming a Teamer. With more Teamers we can help more dogs! Every euro is fully spent on helping the dogs in the shelter!! Why not join us to? Go to TEAMING and click on the “Join this group” button. Be sure to have your international bank account number (IBAN) at hand, and create your log-in details, quickly and free of charge. Do you need help or have any questions? Just leave a message or contact us.